The 14th edition of Art Beijing opens at the city’s National Agricultural Exhibition Centre in May. For 2019, the fair presents a panoramic view of China’s evolving art market whilst celebrating contributions from 20 countries. Selected contemporary artists, designers, photographers and architects question what it means to be human in an era of constant change. For example, 2019’s Photo Beijing exhibition, In the Silence, explores the democratision of photography in the digital age. The collection comprises images from Butterfly Effect Art Centre, and looks at how recent technological advances have enabled individuals, no matter how experienced, to make work from a range of perspectives. The everyday becomes a playground for image-making, as people around the world document their immediate – and often changing – surroundings. Featured artists engage with themes of urbanisation, industrialisation and the environment. 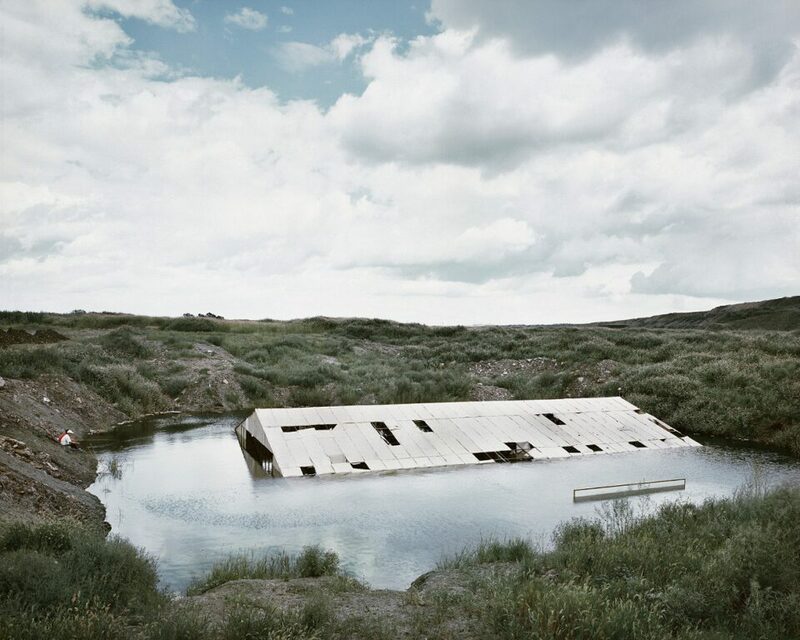 Shown below is Daily Scenery by Li Yong, depicting an ambiguous architectural structure submerged in a body of water. The series records the impact of China’s rapid economic development on the landscape. Daily Scenery by Li Yong. Further tapping into life in the information era is Fairyland, a series of 21 public installations responding to changing concepts of space. Visualising the sense of disconnect pervading today’s world, the works delve into notions of identity and the subconscious. Similarly looking towards expression and connection is Design for Ourselves, a show highlighting unique projects across architecture and interiors. The chosen works foreground interaction on multiple levels – from ergonomic furniture to the development of community-building cultural centres. Examples include the clean and minimal Ordos Zoo Media Centre, featured above. The building is conceived by by Plat Asia, a Bejiing-based, international team of creatives pairing sleek aesthetics with a socially and ecologically-responsive ethos. As a platform for cultural exchange, the event presents Art! World!, which acts as an arena for global idea generation. Working with Instituto Cervantes de Pekín, Danish Cultural Centre, Beijing Hungarian Cultural Institute and Embassy of Mexico in China, it offer dialogues between continents, enriching the arts landscape. 1-3 May. Find out more here. Lead image: Ordos Zoo Media Center by Plat Asia. Art Beijing, opening on 29 April, brings an energetic selection of regional and international exhibitors to the fore for its 12th consecutive exhibition.